Sky Technology is a new school Goa trance project founded by Dmitriy Kolosovskiy, a producer, DJ, and promoter from Ukraine, Kiev. 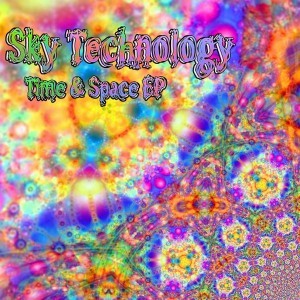 After making his debut with compilation appearances on Phototropic Records and Psymoon Records, Sky Technology returns with Time & Space, a collection of four songs released on Underground Alien Factory Records. Here the layered melodies and cosmic aesthetic of the old school classics can be heard alongside strong acid lines and pulsating beats. Featuring cover design by Imba using the fractal art of CoaGoa and mastering by Cifroteca at Na Hati Studio. ©2010 Ektoplazm; click here to view the original post or read what others are saying about it (19 comments so far).